In the early decades of the 19th century, the first settlers in northwest Louisiana considered navigation on the Red River and access to the Mississippi an impossible dream. For a distance of 160 miles, a “great raft” clogged the river with an impenetrable jumble of logs and sediment. In many places it was so dense that one could ride across it on horseback. Since commerce in this period depended upon accessible river transportation, the obstruction posed an enormous impediment to the surrounding settlers. In the 1830s Henry Shreve, a Captain in the United States Army Corps of Engineers, arrived in the area determined to open the Red River to riverboat traffic. For the task, he invented the snagboat, a specialized double-hulled steamboat with a large crane designed to remove large logs from the river. He completed the task, opening up access to the Mississippi River and facilitating settlement in the area. In 1836, a development corporation established Shreve Town in his honor at a juncture of the Red River and the Texas Trail leading to the west. 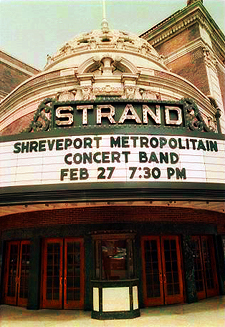 Three years later, in 1839, the town formally incorporated as Shreveport. Shreveport initially prospered as a major trade center for cotton and other goods from surrounding agricultural regions. Tucked into the northwest corner of the state, Shreveport stood at the crossroads of the South and the West, and much of the traffic between the two regions passed through the town. After two decades, in 1860, the town boasted a bustling business district and a population of 3,600. Jews have been a part of Shreveport throughout its history. The earliest Jewish settler in the area, Jacob Bodenheimer, arrived in northwest Louisiana before the founding of Shreveport. Bodenheimer ran away from his home in Niederhochstadt, Germany in 1822 at the age of 14 to escape the household of his overbearing stepmother. Stowing away on a ship to America, Bodenheimer disembarked in New Orleans after a three month passage. He lived in New Orleans for five years and at the age of 19, in 1827, he ventured with a group of traders up the Red River to trade with the Caddo Indians and any settlers they might find. The boat overturned in Loggy Bayou, just south of present-day Bossier Parish, and all the traders’ merchandise was lost. According to local lore, the “notorious bandit” John Murrell rescued Bodenheimer, and provided him with provisions and guns. Undaunted, Bodenheimer decided to remain in the area and cleared a plot of land at Moscow Landing. He operated a successful ferry service for a number of years before moving to the new established Bossier Parish seat at Bellevue. He opened a general store in the small town, raised a family, and prospered as a businessman and plantation owner. Bodenheimer enthusiastically encouraged Jewish settlement in the area, praising the region’s virtues in his correspondence with family and friends. He served briefly as Mayor of Bellevue, and by the time of his death, he was one of the wealthiest and most influential men in Bossier Parish. Differing accounts of his untimely passing in 1865 blame either a bout of malaria, or a loaded hay wagon which toppled upon him. Jewish peddlers and merchants from Germany and Alsace began to arrive in Shreveport soon after the town’s founding. By 1848, 12 Jewish families lived in Shreveport. Many of these first settlers intermarried and were lost to the Jewish community, but others clung to their heritage and planted the seeds of Shreveport’s first Jewish congregation. Abraham and Sarah Winter arrived in Shreveport in the 1840s, and began to hold services at their home. Winter and his brother-in-law, Asher Weinstock, served as readers for the group, and were instrumental in acquiring Shreveport’s first Torah scroll. The scroll, purchased in 1845, was made in Italy in the 13th century, and is still in the possession of B’nai Zion Congregation today. In addition to helping found the first Jewish congregation, Winter also bears the distinction of establishing Shreveport’s first department store, the Winter Company, in 1849. The earliest Jewish residents of Shreveport prospered in a variety of enterprises. Emanuel Mahne opened the city’s first restaurant soon after his arrival in 1855. Peter F.L. Frank, who moved to Shreveport around the same time as Mahne, was the town’s first Jeweler. Two brothers, Ephraim and Benjamin Jacobi, arrived in Shreveport from Pomerania in 1844. The brothers dealt in gourmet groceries and other goods. Later in life Ephraim, who had changed his name to Edward Jacobs, founded the precursor to First National Bank. Both Jacobi brothers married non-Jewish sisters, and the two brothers are buried just outside the boundary of the Jewish section in Shreveport’s Oakland Cemetery. Other Jewish businessmen opened a variety of shops and establishments in Shreveport and surrounding towns. The Shreveport city directory of 1875 lists Jewish residents involved in a variety of business and professions, as their ranks included attorneys, auctioneers, bankers, butchers, confectioners, cattle dealers, druggists, grocers and many others. The Jewish population of Shreveport grew steadily, reaching 50 to 60 families in the years immediately preceding the Civil War. Jewish residents established a Hebrew Benevolent Society in 1858 and secured land for a Jewish cemetery. In 1857 a congregation formally organized, and met regularly at the home of a Mr. Hyams. Adopting the name of Har-El in 1861, the congregation became only the third in Louisiana and the first outside of New Orleans. By all accounts, this early congregation adhered to traditional practices, and was even described by one early member as “ultra-orthodox.” The first rabbi, Julius Lewin, and his successor, Rabbi Ferdinand L. Sarner both served briefly with the congregation, but by the time of the Civil War the congregation was once again reliant upon lay leaders and occasional visiting rabbis. The Shreveport Jewish community’s vigorous assertion of Confederate allegiance may be viewed in part as an attempt to avoid arousing the suspicion and enmity of their fellow citizens. Louisiana differed from other neighboring Confederate states such as Arkansas, where loyalties often crossed the Mason-Dixon line and Jewish residents had the luxury of maintaining more ambiguous stances on national politics. Shreveport remained a Confederate stronghold for the duration of the war and even served as the capital of the Confederacy for a brief period. Jewish residents of Shreveport aided the Confederacy with more than mere rhetoric; 77 Jewish men from the city fought for the Confederate Army during the war. Not all members of the Shreveport Jewish community supported the Confederacy. Rabbi Ferdinand Leopold Sarner served as the second rabbi of Har-El before leaving in 1863 due to his pro-Union sympathies. He moved to New York and enrolled as a Union Army Chaplain. Wounded at the Battle of Gettysburg, Sarner eventually returned to the South to serve a congregation in Memphis. Following the war, the Har-El congregation reorganized as “Hebrew Zion” and purchased a home on Fannin Street. In 1869, congregants built Hebrew Zion’s first temple on the same site. The congregation also adopted the Reform prayer book and began a gradual shift towards Reform practices. This led to divisions among members, a number of which broke off in 1875 to establish an Orthodox congregation named Emanu-El. The experiment was short-lived, and the founders of Emanu-El disbanded the new congregation and rejoined with Hebrew Zion two years later. This reunited congregation served as the precursor to B’nai Zion, the name adopted by the congregation in 1915. For its 11 year duration, the events helped to promote amity and fellowship among residents of the region. Reporting on the 1876 ball, the Shreveport Times observed that “the traditions of history were set aside with impunity, and the deadliest enemies met on a feeling of easy friendship.” The balls also offered the Jewish community a chance to share their culture. The ball of 1877 featured an opera portraying the Purim story performed by a company from Marshall, Texas. The annual king and queen were also appropriately named Ahasuerus and Esther. The final ball, held in 1883, attracted “a large attendance of the fashion and elite of Shreveport and surrounding cities,” and featured opulent decorations and prizes. It is unclear why the Purim Balls came to an end, but in ensuing years the Jews of Shreveport tended to celebrate the holiday within the Jewish community. Jewish residents of Shreveport and surrounding areas played active roles in their communities, participating in every level of public administration. The region’s first Jewish settler, Jacob Bodenheimer, raised two sons who grew up to serve as mayors in the area. Henry Bodenheimer served a two-year term as the first mayor of Haughton. He later gained infamy for “the first time a Jew has killed anybody in these parts,” after dispatching his drunkard and violent business partner in self-defense at a Shreveport saloon. A second, son Emmanuel Bodenheimer, was the only mayor in the history of South Highlands, before the town’s consolidation with Shreveport. Samuel Levy, the first of Shreveport’s four Jewish mayors, assumed the title during the turbulent period of Reconstruction. In the early 1870s, Levy was serving Shreveport as the administrator of finance, when the “carpetbagger” Louisiana governor William Pitt Kellogg appointed Dr. Joseph Taylor to the position of Mayor. Levy was allowed to continue in his same position under the new leadership. Taylor and his self appointed leaders of other city departments commenced to operate a notoriously corrupt administration that siphoned funds from city services and left the city in dire financial straits. Local resentment simmered, and reached a breaking point in the summer of 1873. In August, a controversy erupted over the arrest of a local citizen on dubious charges. Following a violent courtroom debacle in which a friend of the accused threw a large bible at the mayor’s head, citizens openly demanded Taylor’s resignation, which he tendered on August 8. Governor Kellogg decided to appoint Samuel Levy as the Mayor Pro Tempore until the time of the next election. If Reconstruction tensions didn’t pose enough of a challenge, Levy’s appointment also coincided with the most severe yellow fever epidemic ever to strike Shreveport. In 1873, Shreveport lost 25% of its population as over 800 people died from the disease while others fled the city and never returned. Since the previous Taylor administration had drained the city coffers, and any remaining money was diverted to sanitation measures, Levy took the extraordinary step of paying municipal bills out of his own pocket. He served in this difficult post through December, when elections brought a new mayor to power. Shreveport emerged from the trials of Reconstruction, and experienced rapid economic growth in the closing decades of the 19th century. The town officially incorporated as a city in 1871. Railroads replaced the Red River as Shreveport’s primary link to distant markets. The turn of the century saw the beginning of Shreveport’s oil boom, after oil was discovered in Caddo Parish in 1905. Development quickly followed, and for decades the area around Shreveport led the nation in oil and natural gas production. During these decades the Jewish population of Shreveport also experienced rapid growth, bolstered by immigrants from Eastern European countries. In 1905, approximately 700 Jews lived in Shreveport; by 1927, 2,000 did. Many of these immigrants adhered to more traditional practices, and began to hold regular Orthodox services. The two congregations that formed, Beth El and Beth Joseph, eventually merged and assumed the name of Agudath Achim in 1902. The congregation dedicated their first synagogue in 1905 on the corner of Fannin and McNeill Streets. In the opening decade of the 20th century, two members of the Jewish community served as Shreveport mayors. The first of these, Ben Holzman, arrived in the United States from Germany at the age of 13, and showed an uncanny ability to repeatedly appear at the scene of important events in American history. He originally settled in Washington D.C., and at the age of 17 joined the Confederate Navy. He served as a gunner on the famous ironclad ship, the Merrimac, and was said to be the last surviving member of the ship’s crew. After the war, Holzman worked as a clerked in a dry goods store, where one of his customers was President Abraham Lincoln. According to legend, Holzman also attended the Ford Theater on the night of Lincoln’s assassination. Holzman saved enough to start his own business, and in 1865 traveled to Shreveport to establish his mercantile enterprise. He served in a variety of public posts and contributed to various civic improvement projects, and by the time of his election as mayor in 1900, he was one of the most successful and well-respected members of the Shreveport business community. Elected as the city’s second Jewish mayor, Holzman’s tenure was significantly more productive that that of his predecessor, Samuel Levy. In his inaugural address, Holzman identified many of the challenges posed by Shreveport’s rapid growth and the difficult transition from a small town to a large city. Holzman met the challenge, embarking upon an ambitious program of improvements to the city’s infrastructure, including city streets, transportation networks, and public utilities. Holzman revived the city’s moribund police force and initiated the construction of new public schools. A newspaper retrospective published after his term described Holzman as “one of the city’s most successful businessmen … he administered the affairs of the city with the same ability that had characterized his dealings in the business world.” Holzman’s granddaughter was born Catherine Conn but later gained fame through her screen name Kitty Carlisle and pursued a prolific career in film, theater and television. Holzman helped found the short-lived traditional Emanu-El Congregation, and returned to an active role in B’nai Zion upon its demise. One of his close friends, Ernest Bernstein, participated in the Emanu-El experiment as well and served as Shreveport Mayor soon after Holzman. Prior to his election as mayor, Bernstein served a number of terms in the city council, was vice president of Commercial National Bank, and headed a number of local oil firms. During his term as mayor, from 1906 to 1908, he concentrated on improving the city’s water and electric service, and extending the street railway service. Bernstein also steered the city’s finances through the nationwide Panic of 1907, and succeeded in honoring all municipal debts while at the same time managing to reduce local taxes. In addition to the mayoralties of Levy, Holzman and Bernstein, the Jewish community of Shreveport served in numerous other posts in local and state politics. Shreveport has seen a Jewish Constable, Clerk of Markets, a Commisioner of Public Utilities, 13 City Councilmen serving a total of 24 terms, six members of the school board, four members of the police jury and two city surveyors. William Levy served the Shreveport district in the U.S. House of Representatives in 1875, and Judah P. Benjamin represented Louisiana in the U.S. Senate for four terms in the mid-1800s. William Winter, the son of early pioneer Abraham Winter, represented Shreveport in the State legislature from 1904 to 1908, a post claimed four years later by David B. Samuel, another member of the Jewish community. Samuel also served seven consecutive terms as the City Judge from the 1910s to the 1930s. Congregations B’nai Zion and Agudath Achim both experienced growth through the early decades of the 20th century. The Jewish population of Shreveport peaked in the year 1915, when 2,500 Jewish residents lived in the city. The population remained sizable through the World War II years, as the nearby Barksdale Air Force Base developed into a major operations center and brought an influx of Jewish servicemen to the area. During the early decades of the 1900s, women’s organizations rose to increased prominence within the Jewish community. In 1919 Shreveport residents organized a local branch of the National Council for Jewish Women, dedicated to “religion, philanthropy and education … the improvement of the Sabbath Schools, and in the work of social reform.” The following year, the Shreveport chapter organized the city’s first school lunch program. In the 1930s the NCJW established a toy loan library which also provided free swimming lessons, storytelling, movies, and outdoor activities. The chapter worked closely with the Association for the Blind and maintained a Sick Loan Closet to provide medical supplies. The Shreveport NCJW remained active until closing in 1981. In the first half of the 20th century, Jewish residents of Shreveport engaged in a variety of business enterprises and contributed significantly to the city’s growth. Two pairs of brothers, Julian and A.D. Saenger and Harry and Simon Ehrlich, built entertainment empires that provide respite and diversion to thousands of hardworking Shreveport residents. During the early 1900s, these two families built or operated every major theater in the city. Julian Saenger, a native Virginian born of German parents, began his career in Shreveport as a druggist and, along with his brother, founded the Saenger Drug Store. In 1911, Julian established the Saenger Amusement Company and built the Saenger Theater. The company began by showcasing vaudeville acts, but quickly installed projectors to accommodate the recently introduced motion picture. As the first to recognize the prospects of the new entertainment form, the Saengers expanded rapidly, building large theaters throughout the city and expanding to Monroe, Texarkana and Alexandria. By the 1920s, Julian emerged as a prominent figure in the film industry. He sold his holdings to Paramount in 1929 for a sum of $10,000,000 and actively participated in the film production industry in New York City and Hollywood until his death in 1932. The Ehrlich brothers, both born in St. Louis, arrived in Shreveport around the turn of the century. In 1900, Harry became the manager of the Opera House, bringing vaudeville acts from around the country to perform in Shreveport. He brought his two brothers, Joe and Simon, into the theater business. Joe died in the yellow fever epidemic of 1906, while Harry and Simon prospered and opened a chain of theaters in the city. The Ehrlichs entered a partnership with the Saengers, and together the two theater families constructed the ornate Strand Theater in 1925. The Ehrlichs contributed generously to many Shreveport charities and sat on the boards of numerous corporations. Despite their financial success and prominent roles in the Shreveport community, the two brothers never married and lived together in a downtown residence. Other members of the Shreveport Jewish community transformed the city into an internationally recognized repository of modern architectural landmarks. Noted Shreveport architect Samuel Wiener grew up in a large and imposing Victorian mansion on Christian Street, but later in life introduced Shreveport to the spare and unornamented International Style. His father, Sam Wiener, co-founded the firm of Wiener and Loeb, a grocery business which ultimately became Shreveport’s Big Chain Grocery Company. Samuel pursued a career in architecture, setting up a firm in Shreveport with his brother William, and the two began the construction of buildings in accordance with their modern aesthetics. The Bauhaus-influenced Samuel Wiener Home on Longleaf Road, with its incongruous right angles set amid the sinuous Pine branches, remains a popular tourist attraction listed on the National Register of Historic Places. The Wiener Firm also constructed in the related Moderne Style, which built in streamlined shapes, often with nautical influences. In 1941, his father’s Big Chain Grocery Company opened Shreveport’s first true supermarket on Ockley Drive. The Wiener firm designed the striking Moderne structure, a streamlined building which may be best described as an UOO, an Unidentified Ocean-Going Object. Samuel contributed numerous other monuments to the city, and served as the first president of the North Louisiana Chapter of the American Institute of Architects. The Jewish population of Shreveport began a slow decline in the second half of the 20th century, as the children of local merchants and professionals left to pursue careers in larger cities. One estimate still counted 2,500 Jews living in Shreveport in 1960, but the number fell in the ensuing decades. Without the addition of younger members, the Jewish population aged steadily, and by 1986 over one fourth of the Jews of Shreveport were age 65 or older. A census taken in the year 2000 listed just over 800 Jewish residents in Shreveport and surrounding areas. Despite their smaller membership numbers, both B’nai Zion and Agudath Achim remain active congregations and continue to support a broad range of social and religious communal functions.